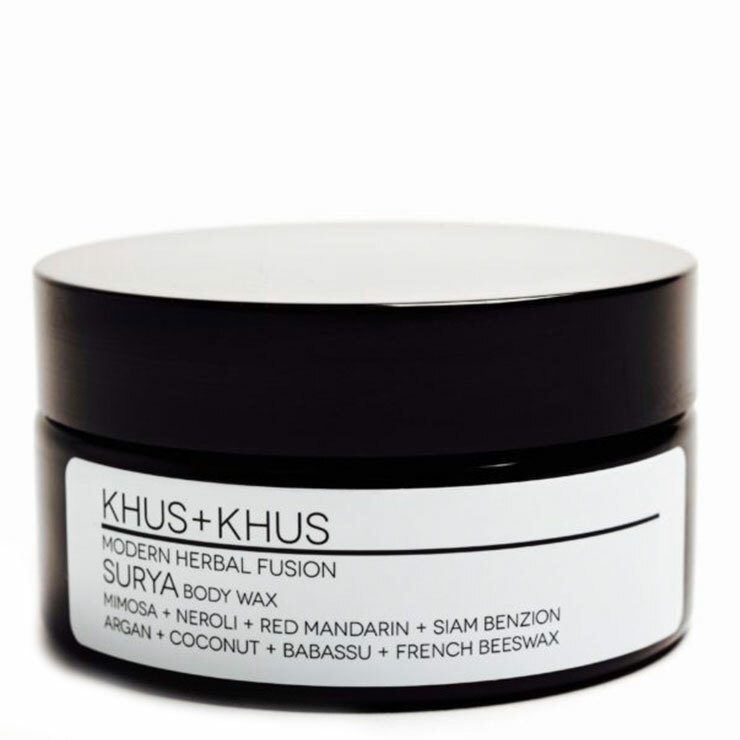 SURYA Body Wax by KHUS+KHUS blends Neroli, Camelina, and Red Mandarin oils in this delicately scented body moisturizer. 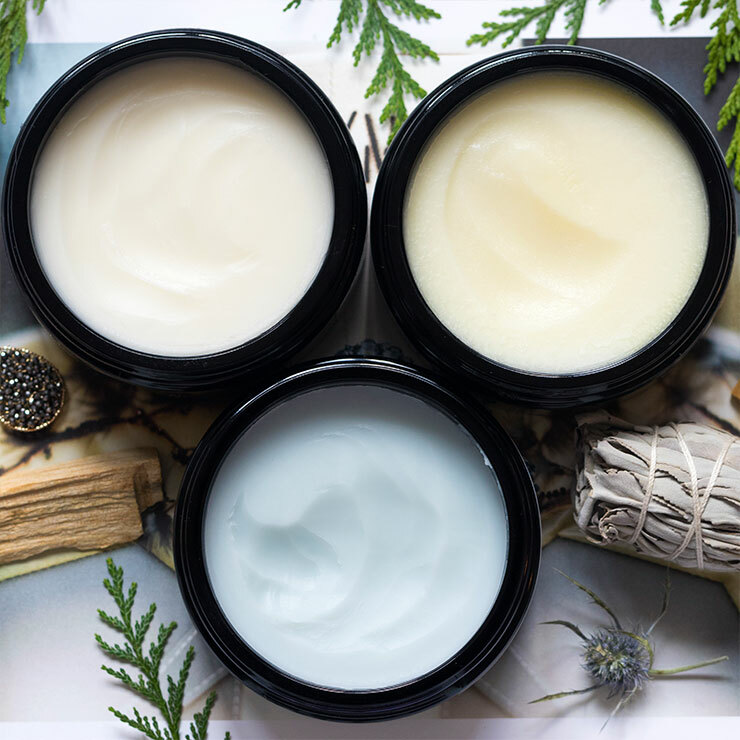 Designed for all skin types, Mimosa and Coconut Oil help to relieve the feeling of dry skin. A lively scent lends a feeling of uplift and stress reduction to the spirit. Enjoy KHUS KHUS Body was as a part of a daily Abhyanga, self-massage ritual after shower or bathing. Massage onto skin in long strokes, working toward the heart for a stimulating feel. 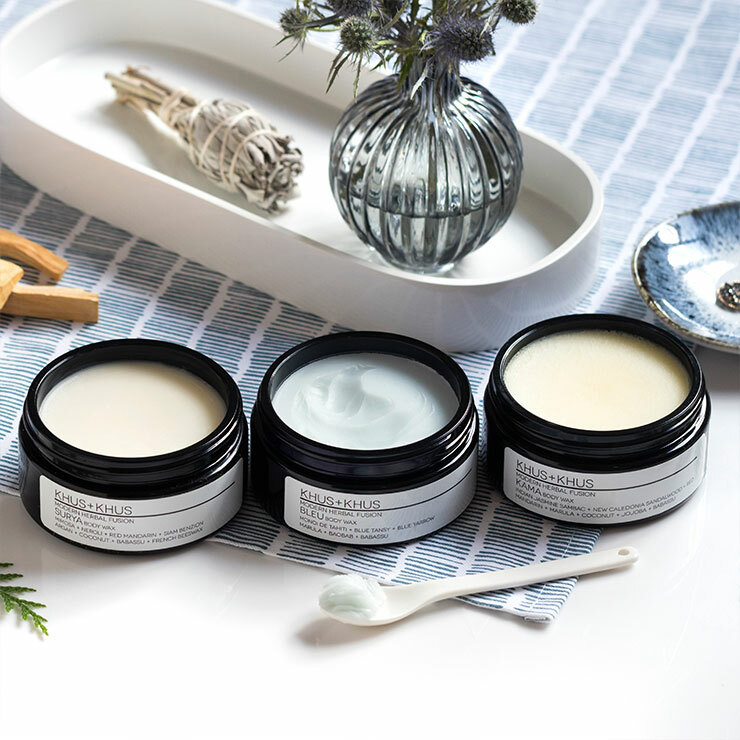 This body moisturizer for dry skin may be reapplied throughout the day for a rejuvenating scent.